Switzerland is renowned the world over for its elegance and taste for the refined. 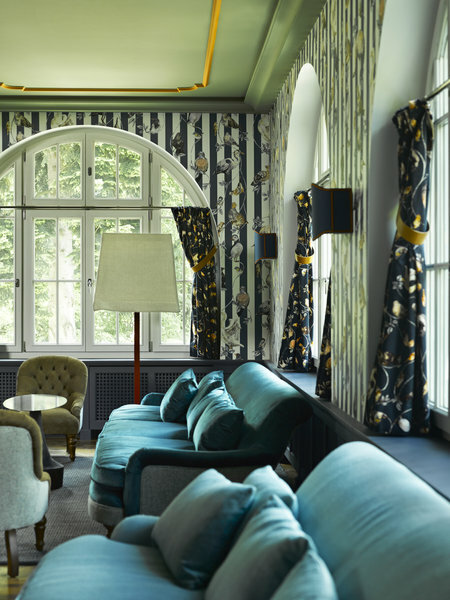 And few places encapsulate this effortless grace quite like the Bellevue Palace in Bern. As the Swiss capital’s only grand hotel, the Bellevue has seen more than its fair share of glamorous guests over the years. Indeed, since opening its doors more than 150 years ago, the luxury hotel has played host to statesmen, politicians, royalty and Hollywood legends, as well as, if the stories are to be believed, countless upper-class espionage agents. These days, it also welcomes discerning tourists and business travellers with a taste for the finer things in life, and it’s not hard to see why this is the number one choice in the whole of Bern when it comes to luxury accommodation. All of the rooms simply ooze class. Each one is kitted out with stylish period furniture, a king size bed and fine art, with harmonious colours adding to the sense of class. What’s more, every room or suite boasts spectacular views over the historic heart of Bern and onto the surrounding mountains. This literally is a luxury hotel fit for a king! Also fit for royalty is the cuisine on offer within the hotel itself. The Bellevue’s team of chefs are famous throughout Switzerland, and it’s easy to see why. The acclaimed Restaurant Vue serves up both local and international dishes, all given a contemporary twist by the expert kitchen staff, plus it’s also famous for the size and quality of its wine cellar. Once it gets dark, guests of all walks of life retreat to the timeless elegance of the Bellevue Bar. Here, over a cocktail or a final glass of wine, guests can mingle with diplomats, politicians, journalists and even royalty well into the early hours of the morning. And what better way to shake off the excesses of the night before than to make use of the luxury hotel’s world-class spa or gym. Here, guests can exercise while looking over the rooftops of historic Bern, or, alternatively, the Bellevue also provides jogging maps for guests keen to explore the surrounding countryside on foot.